BREAD has an almost mythical status in France so a chance to go out on the daily delivery run could not be missed. Marie Ange Brouqui was to be my guide and as we loaded up the van, with the still warm loaves, she also checked over her route. 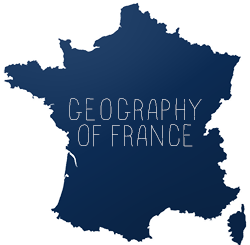 It was to take in the surrounding villages, schools and farms with a longer stop at Villefranche du Périgord. “The bread is different compared to regular bread as it keeps fresh for longer,” Marie Ange explained. “This comes about from the baking process so it means that many of the homes will buya loaf every couple of days.” As we hit the road you could hear the bread crusts crackling as they slowly cooled in the back of the van. But it also means that inside the van it is warm, useful in the winter but a problem during the long hot summers. Soon we disappeared up a single-track lane into the woods and discovered a small cottage or group of farm buildings. And with a beep of the horn someone would pop out of the house and pay a couple of Euro for a large loaf, which measures about 18 inches. “Many of the people we deliver to have been buying bread off us for years so they know they are going to get good quality,” Marie Ange said. “But times are changing and younger people especially, don’t buy their bread from the boulanger they just visit the supermarket every week.” Driving down a tight narrow track we would come across a collection of tumble down buildings, with smooth stone archways and a crumbling stairway to a wooden door. Or the valley floor would open up and a large farm often producing foie gras would come into view. “I used to be a post woman which comes in very useful for remembering which lane leads where,” Marie Ange said. “And often on the drive you will see a beautiful view or catch the sun in the leaves, it really is very calming.” By mid-morning the van had been loaded up again and it was off to Villefranche du Périgord. Here we stopped in the market square and attracted a bit of a crowd as they bought up their bread straight from the back of the van. We would also shoot up and down the four main roads in the village beeping the horn, or tapping on the window, as people came out. “I sometimes think I should stand in the middle of the square and whistle to attract everyone to the van,” said Marie Ange. “And you always get one or two who think they are the boulanger and ask how the bread was made, is it fresh, what does it taste like?” By lunchtime the deliveries are made and the ritual of the bread begins again in the boulangerie ovens - but that is another story. 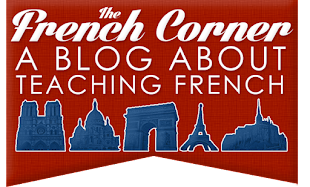 Craig McGinty runs the This French Life website which provides readers with news, advice and information on living in France. Rounding Up Some French Sweepstakes!